I’ve been toying with the idea of creating a plant index for my blog. It’s been easy to put off because listing a bunch of plants seemed fairly mundane. I started it last week and worked on it here and there and it’s now (mostly) done. Once I got going, I actually enjoyed the process. I worked from memory, notes, trips to the garden, some landscape plans, more trips to the garden and my good ol’ blog. Thank you to those of you who encouraged me, through comments, to give this a go. Since so many of the plant names are Latin, I typed first, then proofed, then added the words to the dictionary. Spell check can only take you so far: Thymus pseudolanuginosus for instance. Do you know if I spelled that correctly? Using Picasa I created narrow photo-banners for each category, i.e. annuals, succulents, trees, to break up the sections. I have a lot more linking to do, but may just start adding links as I go forward. Here is my new Page in its entirety. I’ve documented over 70 plants, trees and shrubs so far with a few more to go. I’m toying with the idea of adding a weed section, since they too grow in my garden. Making it official might only encourage them. Have you considered adding a page to your blog lately? This entry was posted in Gardening and tagged garden index, new page, page, plant index. Bookmark the permalink. ← Who’s That Pollinator: Wasp or Bee? What a fantabulously genius idea, Alys!! Once we get our landscape going I would totally add this page since I plan on using earth – wise Texas natives. Thanks for sharing and inspiring! Hope many of your specimens do well here since they are so lovely. Salvia, check! Thanks, Leilani! I’m so excited to see how you make a Texas garden. Natives make so much sense in all parts of the world. You have amazing style and a tremendous way of stretching a budget. And yes, Salvia is one brilliant plant: big, beautiful, drought tolerant and a magnet for butterflies, bees and hummingbirds. You are many lovely things and poser is NOT one of them. It must be hard though having such a short growing season. I remember the work my dad did on his garden in Ontario, as well as all the months that it was covered in snow. Looking back, I now realize why he worked so many hours in the summer months. I’m sorry you are achy from the garden. It’s good exercise, but we use so many different muscles. I can’t wait to see it. You’ve had a full day. LOL, I’m not really complaining as much as making an observation. You know you’ve had an honest days work when you’re stiff. I’d probably be a lot less stiff if I actually did more physical activity more often. Bad Boomed. And yes, it sure is good exercise! What a wonderful day surrounded by nature, tiny birds, and a quick visit to a pet store. Most of the pet stores here offer shelter cats as well, which is so much nicer than the former alternatives. I’m impressed that you got out of there without a third cat. 😉 With her good nature, I’m sure Baby will have a home in no time. How wonderful to see a Robin collecting for a nest. Birds are so industrious. I never tire of watching them. Hey! It’s me again. I figured out what I should be indexing. Since the Fires up north I’ve realized I have a very poor record of household items and furnitures etc. Then there’s the craft room…OMgosh, I could be at it for years. One thought is to make a video of each room. That would take care of the big stuff. I used to have a full set of photos but that was pre-remodel and *that* has now been 12 years. I better get to it. Hello, making a late evening fly by 😀 and lovely to see your message hon. I like the idea of a room to room video. That seems easy enough, even with a phone. 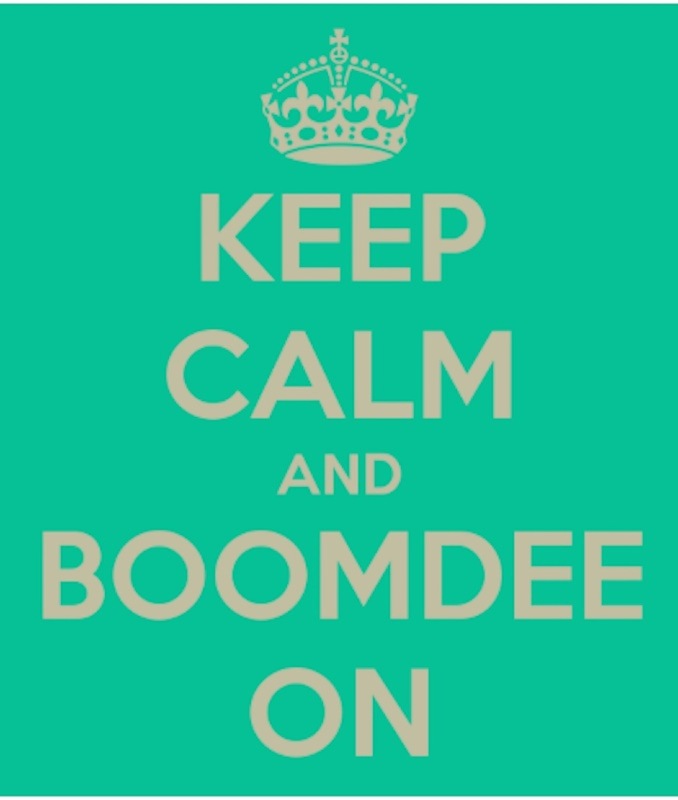 Hello sweet Boomdee. We seemed to be bloggers passing in the night. LOL! I’m home for lunch and carpool, then off for more work errands. I hope your day has been grand. hmmmm, June 1st ? It’s a blur, LOL. But today I got loads done outside so yep, a good day. You too? Thank you, Marlene. I’m really glad to have all, or most all, of the plants listed in one place now. This will help me a lot, and if it benefits a reader or two, that will be fun as well. I just looked up Hellebore, as I know the name but couldn’t put a ‘face’ to the plant. It’s lovely. Was it tangled with something else? I like the idea of mini-terracing and would give anything to have your strong back and shoulders. You are amazing, Marlene. As for adding a page, I wonder if it is a little different based on your theme? I know different styles offer different style sheets, something I still can’t wrap my brain around. Not to worry, Alys. I have tech support and he has his own WordPress site so he learns to help me. The Hellebore was buried under ferns and off shoots of trees.as well as some kind of sticker vine. Now it will have a chance to really shine. I want hostas back in that spot as well and a friend will bring some that she will thin out in the fall. Also some butterfly bush starts. You can’t buy them here. Oh wow! You are all set then. Hostas are beautiful, and how nice to have a friend providing starts. We used to have a butterfly bush, but I sacrificed the shrub so I could plant vegetables. Okay, I just checked. In the sidebar with all the choices (like add post) there is also an add page. From there, you write and edit very much like a post but with a few exceptions. There are no options for tagging or categorizing, and when you hit publish, it does not appear to go out on the news feed. I hope that helps. What I liked was being able to create the page and work on it until I felt ready to share it. Heat is the ultimate energy-zapper. I’m enjoying our mostly cooler weather, though I know we’re on borrowed time. We bought this house 20 years ago this May and moved in during a four-day heatwave. The house doesn’t have AC and it those days, no adequate insulation either. It was miserable, but we were so excited to be buying the house together that we just made do. I’m crossing fingers and toes that the cooler, damper weather returns to your doorstep. Sorry…I’m no help at all today. You are too funny I could not live without AC. I have a heat-pump here that is supposed the be the most efficient way of heating and cooling. Manufactured homes are not well known for insulation but this one is newer so somewhat better. Nothing close to the last home I shared with last husband or even the apartment where you share walls. Rain comes in tomorrow. :))) I’d better get busy. Christmas is tomorrow, right? :(I’m never ready. Christmas is tomorrow? LOL. You have a knack for making me laugh, Marlene. We purchased a room A/C a few years ago and use it in the home office. It’s the smallest of the common rooms,so it cools in there quickly. Otherwise we have a ceiling fan in our entry way and in the bedrooms. Will post photos shortly. Progress is happening! :)) June 1 brings unholy temps here. We will have a week of HOT beyond belief. I’d run to the beach but my yard would wither and die so I will stay and tend it. Ugh! Hot is no fun. Our temps are climbing, too. High nineties are in the forecast for several days. My nephew is graduating from college June 12th. I hope the temps cycle lower by then. Otherwise I’ll be investing in an ice-pack lined vest. That’s a wonderful page you are creating. Does it amaze you just how much diversity you have in your drought tolerant garden? Thank you! I am amazed at the garden diversity and delight in the whole new look and feel of things. Plants are infinitely more interesting to me than lawn ever was. It’s an exciting new chapter in the garden. I think the work you have put into this is wonderful Alys – and I guess as time passes you will add more, maybe even delete a few [not too many I hope], and garner a lot of information just from keeping up with your planting lists. You certainly grow a wide range of plants – it will be exciting to watch. If the rains continue you may have to add a list of volunteers! In the past I had often wanted to label all my plants, because sometimes I forgot what something was. I never got round to doing it – and now when I have a small garden and easily could, it doesn’t seem that important any more as I mostly remember what I planted and where it is. Thank you, Pauline. It’s really given me a lot of insight into the garden, a sort of clarity that I didn’t have before on the way all the parts come together. I’ve learned so much about gardening in general since starting this blog, yet another wonderful dimension of the blogging experience. I like the idea of adding a list of volunteers, and for awhile toyed with the idea of a post about just that. There are so many this year. You’ve also inspired me to do some research on weeds, especially those specific to my garden. I didn’t know soil deficiency played a role. Thank you for that. Like you’ve, I’ve considered labeling the newer plants, at least till I get the hang of the names. Many of them are quite difficult to pronounce. It is always impressive when a gardener rattles off the names of their plants, especially if they know the botanical names as well as the common 🙂 And good exercise for the brain too! It is good brain exercise, but I for one am happy that I don’t have to write a test at the end. That sounds like a dream job, Pauline. I’ve often wished that I studied botany in school instead of the always required biology. I suppose that is of more use to most of us, but how I would have loved the foundation of all those Latin words. This is going to keep you busy for a long time! Once you started writing everything down, were you amazed at what you had and what you knew? I really think this is going to prove so helpful to readers, especially with the info about the drought-tolerant plants. Great work! Kerry, I was amazed at how many different plants there are growing in the garden. Since it’s been a work in progress for twenty years, things come and go, conditions change and of course we now have so many natives I need to learn about. Thanks for your support and kind words. I hope, as you say, that other readers find is useful as well. Great approach for keeping track. I’m not nearly the gardener you are, as a matter of fact, I’m really quite random! I need to do something similar with the beds in my front yard, so I can do a better job of caring for them. I’m going to try to become more deliberate though, and will study your page on drought tolerant plants, like Leilani, I live in Texas, so there should be some overlap there. And hahahaha – indexing the weeds! Kris, thanks for stopping by. I’m glad the idea of indexing the weeds gave you a laugh. It’s certainly made me think about them a lot more. You may be able to garner ideas and advice from this organization as a starting point. One of the bonuses of native plants is that they are adapted to your climate, they attract beneficial insects and birds, and they are already adapted to your climate. Best of luck. You are doing a great job. My garden is about 0.5 acre; but is more tropical fruits than flowers. It was a time in my life when I developed a passion for scientific names of plants and could memorize hundreds. Now, I remember about ten, je je, like persea americana, annona muricata, etc. Indexing is a great idea to remember what you like and when it was planted. I really should apply the same principles to wine as I can never seem to remember what that particularly good bottle was…..
Sheila, do you follow Shelley Sackier’s blog (the author of Dear Opl?). She has a tab called Recipes Under My Roof where she links all her recipes. You could definitely add one for wine. No I don’t – thanks for the link! As others have said, this is a brilliant idea, Alys. Great way of linking back to previous posts! Thanks so much for stopping by, Koko, and for commenting, too. Just last week I saw a lovely floral bouquet that included dandelions. And I have seen dandelion tea as well. I read last year that they are one of the first flowers to bloom and provide food for Monarchs, so to your point, yes, one person’s weed may be another person’s treasure. My biggest nemesis is oxallis, and in the summer, spotted serge. It does take time to rearrange our blogs, change out themes, etc., but for me it helps keep things fresh and interesting. Thanks for putting a smile on my face with your warm and gracious words. Kind of cool. It might help someone looking for things to grow in arid California. I like the band of pictures across each category, too. Wow. You organizer, Alys! You comment made me smile, Lisa. Thank you. The band of pictures helped break up all that text. I tried larger photos but they didn’t quite work. This was a nice alternative. What a great idea Alys. I started a list years ago, but it never got updated and many things have long since disappeared. Maybe I should take another look at it! Cathy, I think you’ll really enjoy having a list. And the wonderful thing about the virtual version is how easy it is to add and subtract. It was also fun being able to link a photo to the name. Adding will be easy enough for me going forward, but if I do lose a plant (or remove it for whatever reason), I might add a note to the index, rather than just deleting it. I think that will make the index more robust. I’m going to watch for your list.